Is there a better alternative to Fun Money? Is Fun Money really the best app in Personal Finance category? Will Fun Money work good on macOS 10.13.4? 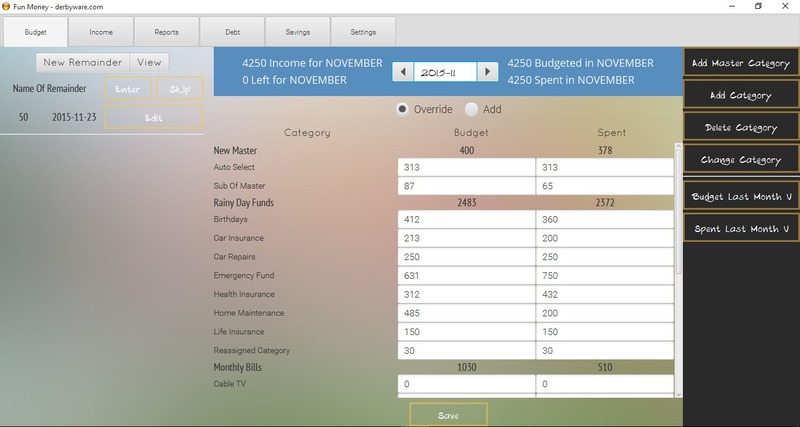 Fun Money lets you organize your finances by defining monthly incomes and expenses with a simple interface. If you have trouble keeping track of your current financial status, then you probably need to turn to specialized software that can simplify your work. Fortunately, there is a wide range of applications that can help you achieve quick results in a convenient manner. One of those is Fun Money. Note that, in order to run as intended, this utility requires Java Runtime Environment 8 or later on your computer. Fun Money needs a review. Be the first to review this app and get the discussion started! Fun Money needs a rating. Be the first to rate this app and get the discussion started!